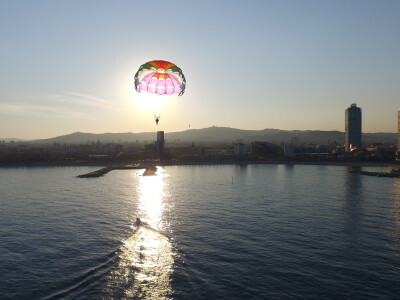 If you’re looking for something super special for your fun-loving hen on her hen do in Barcelona, consider a breath-taking parasailing experience! 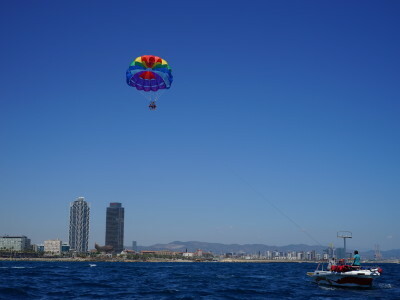 You’ll start out on a boat before making your way into the air where you’ll enjoy unbelievable views of Barcelona, stretching far away into the distance. 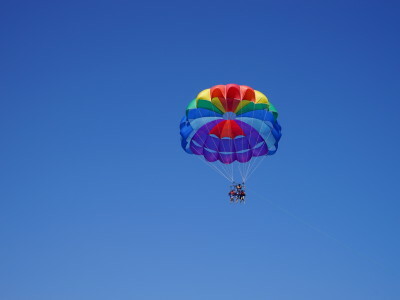 The mixture of adrenaline and peacefulness is really exciting, and something you’ll remember forever – be sure to bring your camera, and capture your hen’s face as she ascends! 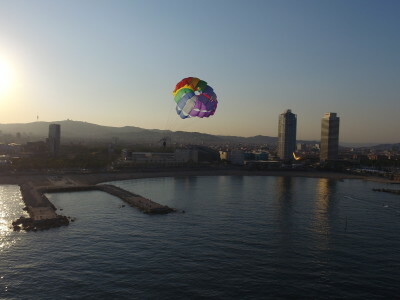 You’ll reach heights of around 70-90 metres, but entirely safely and you don’t even have to get wet if you prefer! If your hen works best with an audience, you can bring along additional friends to see her fly at a small additional charge per person. 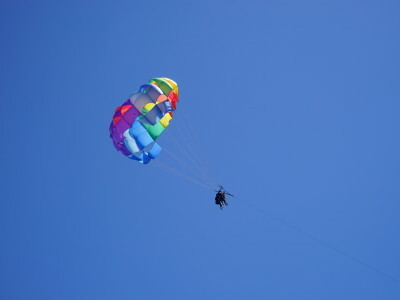 We take care of all safety briefing and equipment, insurance and fees (included in the price). Just don’t forget that if you’re planning on getting wet, bring along a towel, swimsuit and sunscreen!